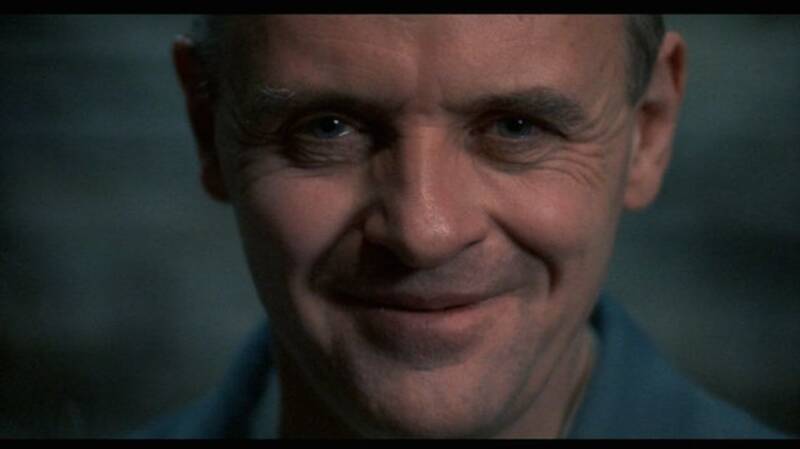 “Good evening, Clarice.” It was 25 years ago this month that we first heard the creepiest three words ever uttered by a cannibalistic psychiatrist. In case you've been living under a DVD-less, cable-and-wifi-free rock for the past quarter century, you'll know The Silence of the Lambs is about a serial killer helping—in his own manipulative, psychotic way—to catch another serial killer. Much has been made of the hidden significance behind the film’s most famous line, but how about the names? From birds to gluttons to just what the heck “silence of the lambs” means, here's a look at the significance of six names from the film. The name of Jodie Foster’s tough-yet-vulnerable rookie FBI agent is rife with meaning. Like the starling bird, Clarice Starling is small and swift. Roger Ebert has noted the film's “visual contrasts” showing the petite Clarice Starling with large men. The name Clarice, according to the Baby Naming Wizard, comes from the Latin word clarus, meaning bright or clear. It could be said that Clarice is a bright, clear light amid the figurative darkness of the serial killers as well as the literal darkness of Buffalo Bill’s basement. The first name of the man-eating murderer conveniently rhymes with cannibal, but it’s also the name of the ancient warrior Hannibal, a general in the Carthaginian army and arguably one of the greatest military strategists in history. Like his namesake, Lecter is also highly strategic, playing the people around him like chess pieces. The surname Lecter may be influenced by lector, a reader of Bible scripture or a university lecturer, perhaps reflecting Hannibal’s intelligence and intellectualism. But the name is also reminiscent of lecher, someone given to lewdness. The word lecher comes from the Old French lechier, "to lick, to live in debauchery or gluttony." If feasting on humans isn’t debauched or gluttonous, we’re not sure what is. I.J. Miggs, also known as Multiple Miggs, is Lecter’s cell neighbor, best known for doing something really disgusting to Clarice (an act which doesn’t go unpunished by the good doctor). While what “I.J.” stands for is a mystery, the word mig refers to urine as well as the “draining from manure,” according to the Oxford English Dictionary. As for the meaning of the "multiple" of Miggs’s nickname, the internet has a couple of theories. One is that it refers to multiple personality disorder while another says it alludes to Miggs's multiple offenses. Jame Gumb is known for skinning his victims and making “women suits” from their skin, hence the nickname Buffalo Bill. Showman Buffalo Bill Cody is said to have scalped a Cheyenne Indian in battle, in addition to hunting down thousands of buffalo, at least one of which he had made into a coat. As for why it’s Jame and not James, according to the backstory in the novel, the shortening was a misprint on the birth certificate that was never corrected. The meaning behind the name of Buffalo Bill’s would-be victim has some striking similarities to that of the FBI agent who rescues her. Catherine, meaning clean and pure and coming from the Greek katharos, is reminiscent of Clarice’s clear brightness, while the martin, like the starling, is a type of bird. However, Miss It-Refuses-to-Put-the-Lotion-in-the-Basket's name has added significance. Another Catherine, Saint Catherine of Alexandria, was also imprisoned—although the martyr was killed and scrappy Catherine Martin was not. On that note, martin comes from the Latin Martinus, a derivative of Mars, the Roman god of war. Like Mars, Catherine goes to battle when she traps and threatens to kill Precious, Buffalo Bill's dog. This thorough Quora answer breaks down the multiple meanings of lamb. It refers to the actual poor lambs being slaughtered, as well as perhaps the idea of lambs as religious sacrifice. Lambs are also often thought of as pure and innocent, and in the film could refer to FBI newbie Clarice or almost-slaughtered Catherine. As for the silence, while Lecter says Starling wants to save Catherine and other potential victims in order to silence the screaming, it may also refer to the idea that once the screaming stops, it’s already too late.